Natural Ireland is a wholly owned Irish handmade soap business located in Drumshanbo, Co Leitrm. The business was establiished in 2009. We specialise in 100% natural soap products which are inspired by our natural resources in Ireland and are designed for a more natural, traditional and environmentally friendly lifestyle. Majella McAuley is the creative entrepreneur behind Natural Ireland and The Soap Box businesses. 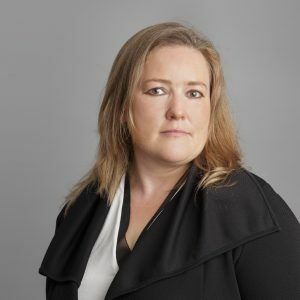 Majella has under taken extensive research in natural skincare while treating a stubborn skin condition which has led to the development of her 100% natural brands for both men and women. The product ranges include a full range of handcrafted cold process soaps and an award winning range of handmade traditional shaving soaps. The businesses have grown to satisfy customer demand for natural skincare products for both men and woman and the belief that the more natural the product , the more beneficial it is to our skin. Our 100% natural shaving soap range includes Irish Stout and Seaweed Shaving Soap, Seaweed Shaving Soap and Natural Shaving Soap. 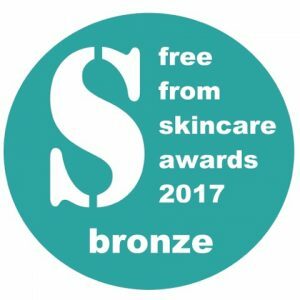 Our Natural Shaving Soap scooped the Bronze Award in the Male Grooming category in the UK Freefrom Skincare Awards 2017. This luxurious shaving soap range is made from pure natural ingredients and designed for a natural, traditional shaving experience. It is rich in natural oils and butters which protects, soothes and moisturises the skin before during and after shaving. 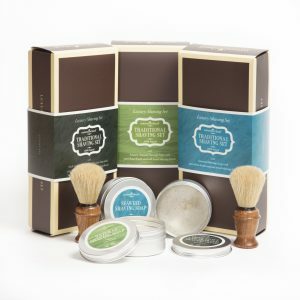 We have specially formulated our luxury natural shaving soaps using high quality natural ingredients and our natural resources from Ireland such as seaweed to create shaving products which are unique in the marketplace and offer many natural benefits. In Ireland seaweed is one of our most natural beneficial resources. Thus many of our shaving soaps contain seaweed which is sourced in Co Donegal, Ireland. The stout used in our popular Irish Stout and Seaweed Shaving Soap is sourced from our local craft brewery, Carrig Brewing based in Drumshanbo. We are passionate about traditional shaving as we believe that returning to this tradition is the best way to have a beneficial shaving experience. Our sensitive skin products have gained the trust of our customers who know the goodness of our all natural skin care and beauty products. The many testimonials that we have received from satisfied customers is very gratifying to us but more importantly, our customers are benefiting from the purity of the natural ingredients and the chemical free products that we offer and stand over.